We are committed to building applications that make a difference. At BlueKite Apps, we develop Mobile Apps, Custom Software, and Web-based Applications that give businesses a competitive edge. We team up with progressive start-ups, SMEs, and enterprises to translate ideas into engaging apps that magnify their growth. 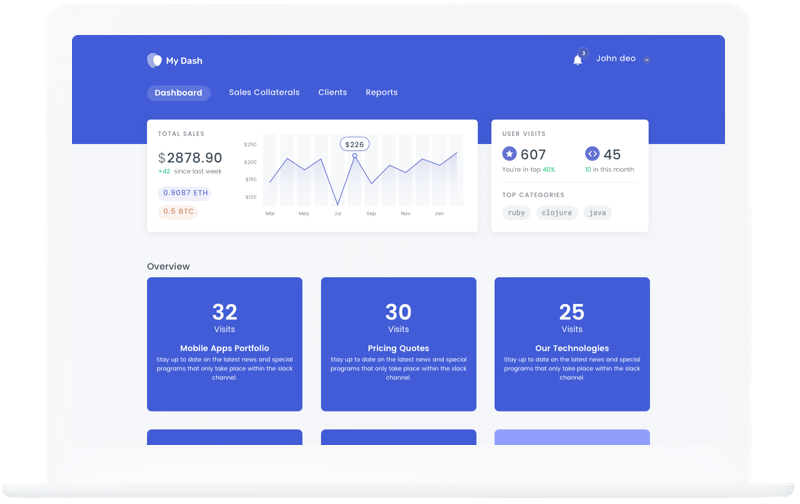 With aesthetics, technology, scalable architecture, and brand cohesion, we build robust applications that help businesses stay ahead of the curve. Want your app to win hearts on iOS and Android? Let us give you a hand in a crafting stand-out mobile application for your business while building a loyal and engaged user base. Give your business a makeover with a software solution tailor-made for all business needs. Your operations will be even more user-friendly once we have designed and developed these solutions for you. Expand your user base with a responsive and secure web application for your business. Our web developers expertly implement the best suited technology and framework that cater to your business. 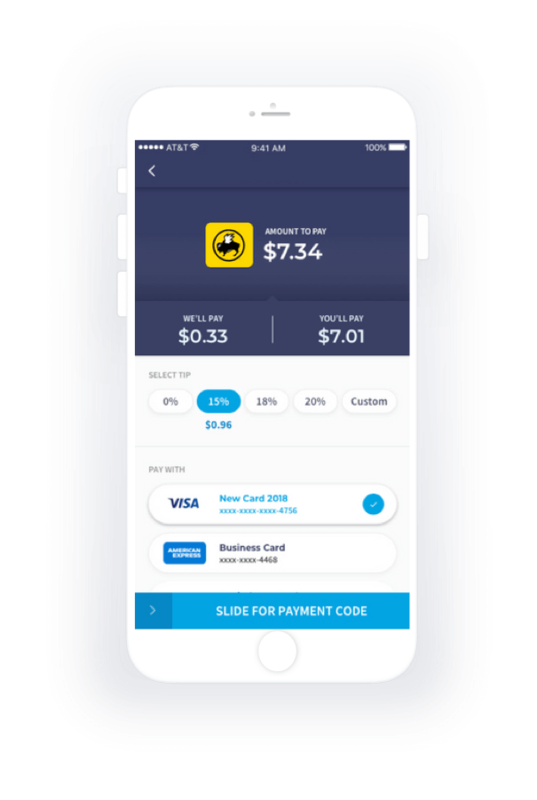 Recognized by Fortune 500 brands, the Mobile Payment App hooked over 1 million users who earn and use cryptocurrency tokens in the United States. We conducted user research and found that transaction speed and fluctuations in dollar values were the two reasons merchants did not accept payments in cryptocurrency. We addressed these challenges by creating a proprietary API that directly settled with the merchant in fiat currency, while simultaneously allowing users to buy with crypto. The native iOS and Android applications now allow users to pay in cryptocurrency tokens in mere seconds. 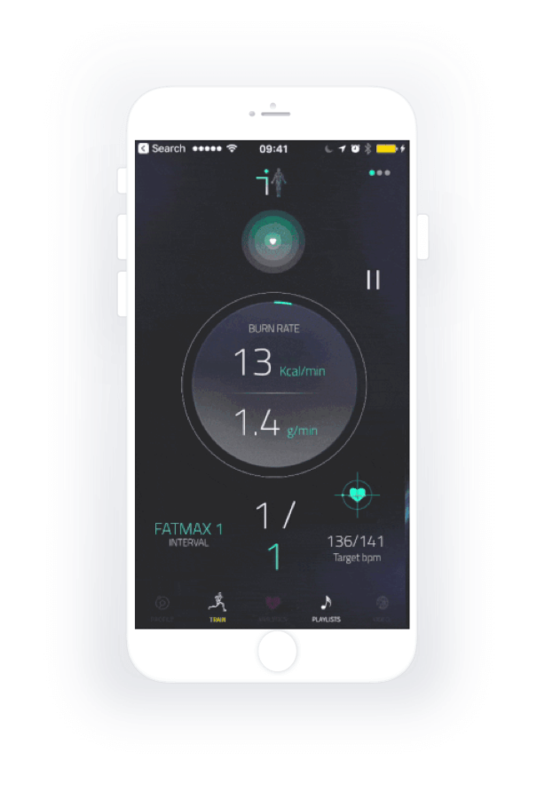 The Biometrics Fitness App is a personalized workout planner that helps users strategize their fitness journey beside an insight into their overall health based on personal information and physical activities. Our client envisioned a real-time mobile application that could sustain a huge volume of data and a zero-lag workout suite with custom UI elements and visualizations. To cover the three criticalities, we: 1. Customized UI libraries in conjunction with Apple’s design team to create a unique experience. 2. Built and integrated a HealthKit to import health-related data. 3. Created a database with Firebase to retrieve data offline. 4. Enhanced security by creating REST APIs using PHP. The B2B Enterprise Sales Solution company ideated presentation management software for sales professions. They envisaged a software that allows salesmen to find, build, share and track high-impact presentations. One of the biggest challenge for salesmen to find, build and customized presentation for their clients, especially for on-the-go salesmen. We identified different problems faced by salesmen and built a very streamlined and easy to use interface. To tackle with compliance, we created various permission levels within the app to govern the distribution of content within sales teams. Any request to access content passes through secured mobile gateways preventing data theft and leakage. Also, we’ve modified some of their existing APIs to add more functionalities to the app. "Working with BlueKite Apps team was a great experience. They delivered a quality product to us that met our needs at the time." "The entire BlueKite Apps team are ridiculously talented and hard working but are also “problem solvers” and offer innovative and efficient solutions to development logic and algorithms. Over the years, we have built up a powerful and exciting partnership." "We look at BlueKite Apps as an extension of our core team. We trust them, rely on them and value them for every single feature they worked out to bring the app to life." "BlueKite Apps worked extremely hard to learn the relevant technologies and complete the project to a high standard. From the initial phases to the end of the project, everything was taken care of in a professional manner." With more than 70 miles of coastline, San Diego has been a popular vacation destination. Travel apps allow tourists to plan travel, hotel bookings, ticket bookings, cab booking, route mapping, and more. San Diego offers state-of-the-art healthcare and is considered a leader in technology-driven health innovation. We build healthcare solutions around the patient portal, billing, insurance and more. You can take your business online with the right e-commerce app. It will allow your target users to take action on their desire to buy from you at the very moment they identify that need. Social media and dating segment is densely occupied by dominant players. But there will always be room for another platform to let people connect with each other through social networking and dating apps. More than 70% of people today order food online. We help you catch the pulse of your foodie customers with infinite possibilities in restaurant apps. Apart from these industries, we’ve built apps for other sectors like education, transportation & logistics, on-demand solutions, real estate, finance & banking, media & entertainment, etc. The way we distribute the app development process between front-end, back-end, and UX/UI design is individual for every application. It requires skillful and thorough architecture planning to deliver the best-in-class applications that standalone in each aspect. Our human-centered approach enables us to create user experiences that are ‘delight-to-use’ rather than ‘ease-of-use’. BlueKite Apps keeps up with the latest technologies in front-end development to create interactive, intuitive and stylish applications. To lay a rock solid foundation of your application, we put together the best backend technologies in accordance with your business requirements. Our experienced app developers in san diego use best practices to design optimally structured databases for database driven applications. First, we start by signing an NDA to ensure that your idea is safe and secure with us. It’s our top priority. Next, we’ll discuss your idea and future requirements. We’ll provide you with the documentation of app development roadmap, best technologies that will be used, cost, time and risk factors. Now it’s time for Agile Development! It allows our app developers to breakdown the project into manageable units so that they can focus on high-quality development. Also, you will be involved throughout the product development. Our Quality Assurance team perform testing throughout the product development and after the completion to ensure the product actually meets requirements. Deployment phase is where the working product will be handed over to you. We will give you the full demo of your product. Once we deliver your product, we can have a Maintenance & Support partnership in place for better adaptability for your users. San Diego you'll ever need!